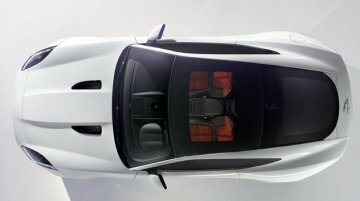 Jaguar presents us with the first look of the production Jaguar F-Type Coupe that will make its world premiere on 19 November at the Los Angeles auto show. On the following day, the vehicle will be..
Porsche Macan leaked ahead of LA Auto Show! 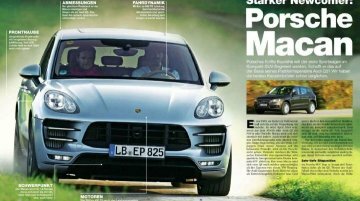 Images of the Porsche Macan that will feature in an upcoming issue of German car magazine, Auto Motor Und Sport, have leaked on the internet. When viewed head on, the Macan looks a lot like the lar.. 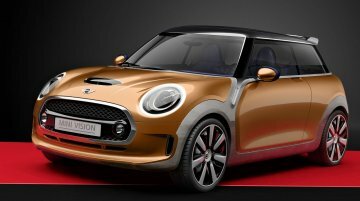 The 2014 Mini will world debut at two international motor shows on the same day - the Tokyo International Motor Show and the Los Angeles Auto Show. Although spies have caught the new Mini without any..
Manza production to move out of Ranjangaon to make way for Jeeps? According to a report on Overdrive.in today, the joint venture between Fiat and Tata Motors could be reduced to just engine manufacturing as the Indian auto maker has reportedly planned to move..
Are these the 8 new products Ford India has promised by mid-decade? We have to hand it to Ford India for maintaining the suspense on its future products for over a year now. Ever since they announced that 8 new cars have been lined up for a phased launch program.. According to Automobile Magazine France, Czech brand Skoda will launch two models below the Yeti to form a strong crossover family. To be launched in 2015, the 'Skoda Polar' (tentative name) is..
A few weeks ago, President of Mahindra Automotive and Farm equipment sectors Dr. Pawan Goenka has written a tweet addressing a question by a Twitter user on future launches. Dr. Goenka said that..
Mercedes Benz have uploaded a Youtube video teasing its next launch, the facelift of the E Class. [can't see the video above? Head over to Youtube] Like most other upcoming Mercedes cars,..
Skoda India marketed the Rapid as a car that partakes in the festivities like an enthusiastic family member, but over in the UK, Skoda is pitching the Rapid as a daddy's best friend. [can't.. The idea to redesign the A Class could have been the best decision made in the history of Mercedes Benz. 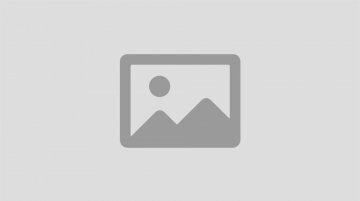 The premium hatch proposed by the three-pointed star has already earned the accolade as the.. According to a recent report published on Brazilian website CarPlace Brazil, Volkswagen is pleased with the positive response received from showcasing the Taigun compact SUV in Brazil and has planned..
Jaguar has warned competitors that it will catch the Indian luxury market by the horns in the coming years through launching new models and variants. [can't see the video here? Head over to.. Car scratches could be a thing of the past if what these scientists have come up with finds its way on car bodies. They have come up with an innovative special coating that self-heals. You heard it..
German auto major Audi recently issued a negative comment on the Nano's journey to Europe. Audi claims the Nano would find it very difficult to travel European roads mainly due to the stringent EURO..
Audi being a premium car maker and not affected by the downturn, is gearing up to launch its Q5 SUV in India in the month of June. The Q7 has been doing extremely well and the Q5 is expected to do..
Scoop! Autocar's spy photographers have caught a heavily disguised next generation Jaguar Xj undergoing testing. It is understood that the XJ is just a few weeks from being unveiled and scheduled for.. Speculation or real- Porsche Hatchback based on the VW Golf GTI? Porsche has a whole line-up of highly successful models. So apart from just preparing its existing models for facelifts and replacements, you might be thinking that Porsche is just idle. In fact,.. The horsepower wars for SUV's have officially begun. Brabus introduced a Mercedes Benz ML with a huge 6.3l Twinturbo V8 engine at the Geneva Motor Show. The Brabus ML 63 produces an astonishing..